Move in ready 4 bedroom home! Carpet in only two bedrooms; tile, LVP and laminate otherwise. Fully equipped kitchen including chalk board for family's scheduling. Kitchen and baths have been updated. Owners' Suite & secondary bedroom share a full bath (Jack 'n Jill). Full bath in the hall. Roof new in 2013, new 'smart HWH, replacement windows. Lots of great storage including loft in the attached garage. Fenced back yard has a storage building. Tree house and trampoline for the kids! Optional Vector security system. Established landscaping. Super location within walking distance of Arthur Edwards Elem. Close to Walmart and easy access to Highway 70 for travel east or west. 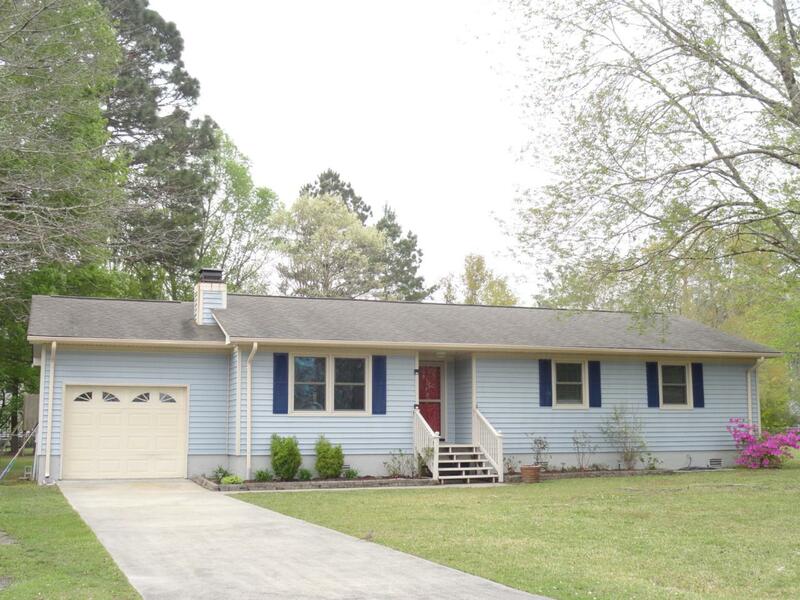 Listing provided courtesy of Sue Boyer of First Carolina Realtors.